You will soon have the ability to capture a space not just in 360 but in true virtual reality with six degrees of freedom (6DOF means you’ll be able to walk around not just jump between nodes, using a VR headset such as an Oculus Rift, HTC Vive, or Microsoft Mixed Reality headset). What’s more, you’ll be able to do it with a 360 camera that costs just $199, the Giroptic iO. UPDATE: Now you can see the 3D model yourself! Giroptic iO is a user-friendly 360 camera for iOS and Android smartphones that features realtime stitching, image stabilization, live streaming and the unique capability to make 360 video calls. Soon, you’ll also be able to use it to capture a 3D model of a space in which you can walk around and explore in VR with full six degrees of freedom. Yesterday early morning, I had a video conference with Giroptic’s CEO Richard Ollier and CPO Matthieu Grosselin. They revealed a project that they have been secretly developing for the last 2 years (on top of their other projects): a proprietary software for converting 360 photos from the Giroptic iO into a 3D model. They showed me a video of the capabilities of their system. In this demo, Giroptic created a VR model of a space with just thirty 360 photos from the Giroptic iO. The model contains 3.2 million triangles and 1.6 million vertices. According to Richard and Matthieu, the photographer simply took 30 photos, then uploaded them to cloud servers for processing. The software generates the 3D model, and can even automatically remove the photographer from the VR model, even though the 360 photos had the photographer in them. They also showed me a few other models, that had similarly detailed 3D point clouds. Although photogrammetry has been around for a few years, this system is revolutionary in its ease of use, low cost, and accessibility. It is simple enough for anyone to use, and is pretty much automatic. BTW Giroptic is giving away seven special edition Giroptic iO cameras with red brackets. Enter the contest here. This looks pretty amazing. I’d love to see what this software could do with a better quality camera. Since it’s software based, it would be great if Giroptic could sell a version that would work with other manufacturer’s cameras. I totally agree with David. I would love to be able to experiment with this program but as a original buyer of the Giroptic 360 cam I have to admit I was disappointed with it’s resolution and it sits in the closet. I realize they have of course continued to improve their products. Would hope other camera’s outputs could be used as this is VERY COOL tech. Hi Michael. Thanks! They’re considering support for other cams. Cool! I wonder how exact the 3D model is and if the accuracy will increase with a higher resolution camera. To build that model with only 30 images is impressive. I wonder what it will look like if it’s captured with twice as many. I don’t know what I will use it for though. I’m interested in real estate and I can’t imagine that the 3D model is anywhere near detailed enough to replace the technique that matterport and cupix are using. If it ever becomes detailed enough to replace 360 photos, the file size will surely be enormous. I need something in between. One idea, say you capture the model above with 50 photos to hopefully fill all the holes. Then when viewing the model and walk around, you see the 3D model and when you stop, you get snapped to which ever photo that’s closest to your position. Hi Anders. I’ve updated the article to include a link to the 3d model so you can see for yourself. 😀 it has 3.2 million triangles, if that means anything. i’m not saying this isn’t an interesting new product but it really looks like matterport’s approach. i hope that they can develop software that allows any camera to be used in conjunction with a 3d scanner. Hi Gianne. Yes I’m familiar with Matterport. I saw the point cloud before my previous post, but it’s not something I would want to visit. It’s probably usable for measurements but I’m quite sure it’s a niche market. Maybe Giroptic can tell us which areas they hope to win market shares in with this technology? This ultimately leads to 360 video with 6dof. 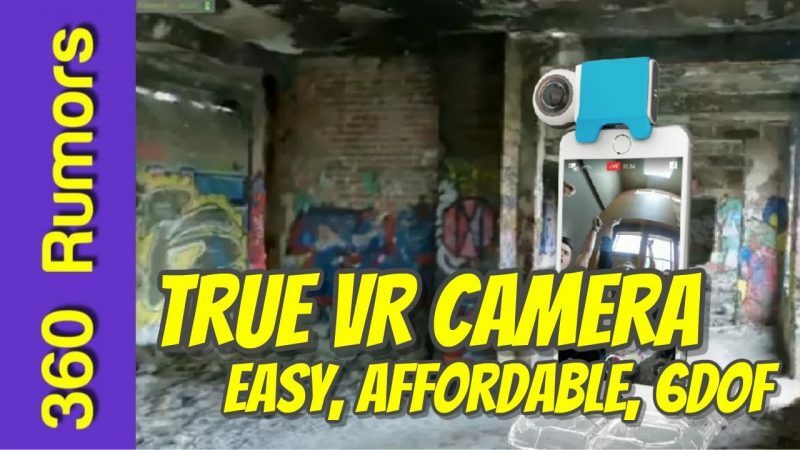 That kind of video is still in its infancy but that will turn out to be huge turnover for 360 videos and things will never be the same afterwards, once we get decent quality at affordable price. This very example is interesting, yet it seems like the number of triangles is huge. I don’t know if its possible to reduce that number, though. Have a look at MeshLab. Its a free application and there are quite a few mesh decimation/optimisation tools in there that will allow you to reduce the poly count of your model without impacting much, if at all on the final result. Very impressive work from such a low number of images and a relatively low resolution device. Interesting to see you’re looking at 6DOF video. 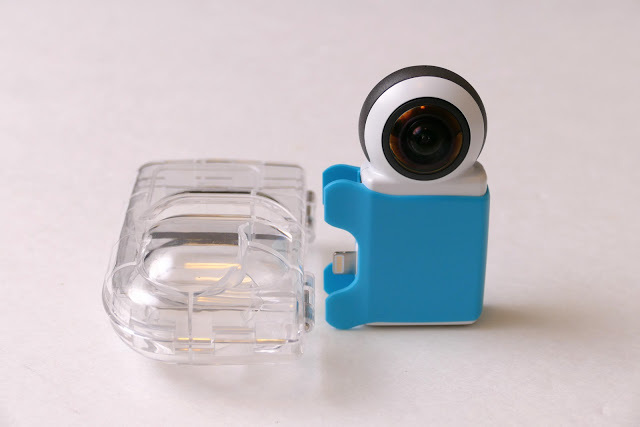 I agree it would be interesting to see this working with other cameras, maybe a low cost/free version for the version that works with Giroptic cameras with another version at a higher price that accepts input from other non Girpotic cameras. I would like to use this software for virtual tours. Much like I am using cupix for the moment. Interested in a more immersive headset experience, Matterport has a good app to model from. Also curious to see what the software can do with my 360 drone images. That’s a great idea Pedro! Hopefully they will finish it soon. Well giroptic is out of business. @Mic Ty any other players in this space that you are aware of ?